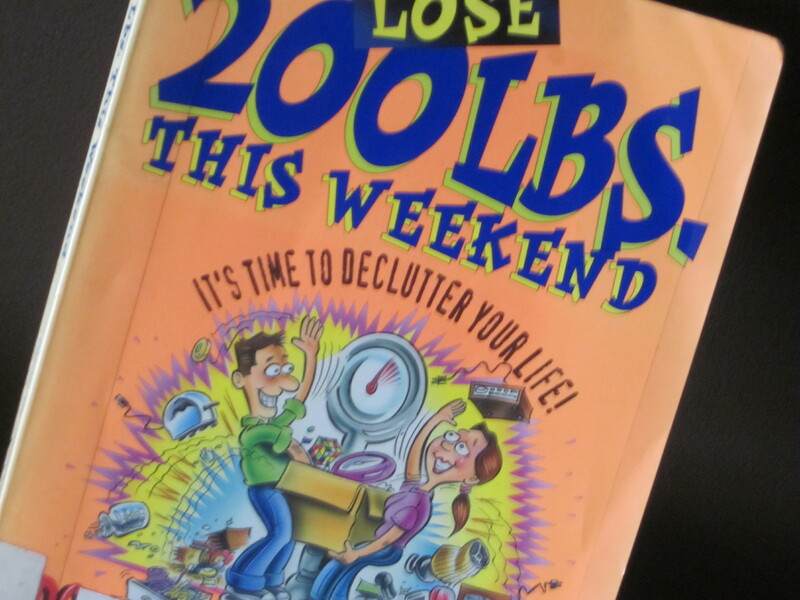 I checked out the book “Lose 200 LBS. This Weekend” by Don Aslett. The book describes the risks of clutter, the benefits of de-cluttering, types of clutter, strategies for de-cluttering, and success stories. The book is well-organized and easy to read. There are lists, bullet points, headings, and quotes which makes the book easy to scan and find what you are looking for. I read a total of maybe 20 pages out of the 176 pages. Paging through and reading a little bit from each section. The book helped me to find the why of organizing and permission to throw away some of the items that I was holding onto. I would say that I (with help from my husband) met the 200 LB Weekend. The house looked nice for my husband’s family. I still have probably 600 LBs left, but that will have to wait for another day.